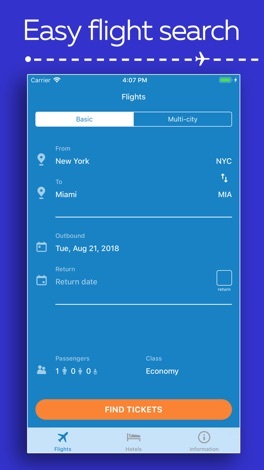 The AnyFlights app helps you search, compare and book cheap flights & hotels from hundreds of airlines, travel agents and accommodation providers globally. We’re a team of passionate, savvy explorers here to make it easy for you to find the cheapest flights & hotels for your next travel destination. 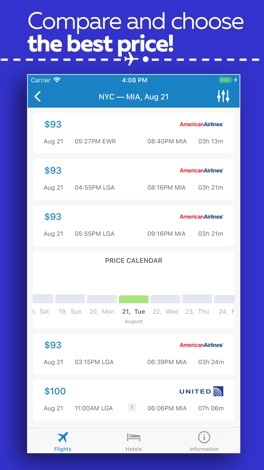 The AnyFlights app will compare airfares from hundreds of airlines and travel agencies, and deliver perfect deals directly to your device. 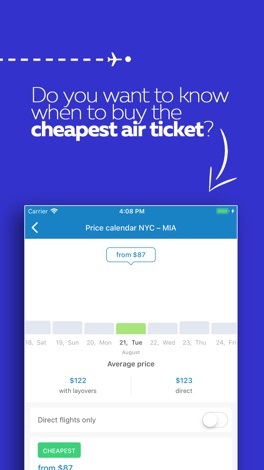 Cheapest airline tickets are now just a click away in all city USA and World: Atlanta, Chicago, Los Angeles, Dallas, Denver, New York, San Francisco, Charlotte, Las Vegas, Phoenix, Houston, Miami, Orlando, Newark, Seattle, Minneapolis, Detroit, Philadelphia, Boston, New York, Fort Lauderdale, Baltimore, Washington, Salt Lake City, Washington, Honolulu, San Diego, Tampa, Cleveland, Portland, St Louis, Oakland, Kansas City, Nashville, Austin, Sacramento, Santa Ana, Paris, London, Moscow, Abu-Dabi, Dubai, Hong-Kong etc. So, let’s get started. 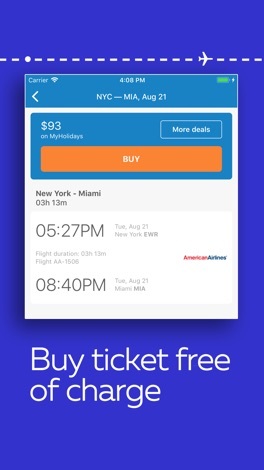 Go ahead and download the AnyFlights app now and search for flights to any city or airport, anywhere in the world. The St Gregory's Primary app by Parent Apps is great for both parents and pupils to keep up to date with the school and the events, trips and activities coming up. Full of useful school information such as events, term dates, blogs, newsletters and more, parents can stay informed and plan ahead. Download now for FREE! With the Colibri Player App you can play videos you find on the Entertainment Portal of Colibri. Install the Colibri Player App on your iPhone, iPad oder iPod Touch. Then open the Browser and navigate to Entertainment Portal of Colibri. Here you find for example Movies and Series. Click on the Video and the Player App will start.